The United States’ women’s field hockey team is off to a perfect 2–0 start in Group B pool play at the 2016 Summer Olympics. 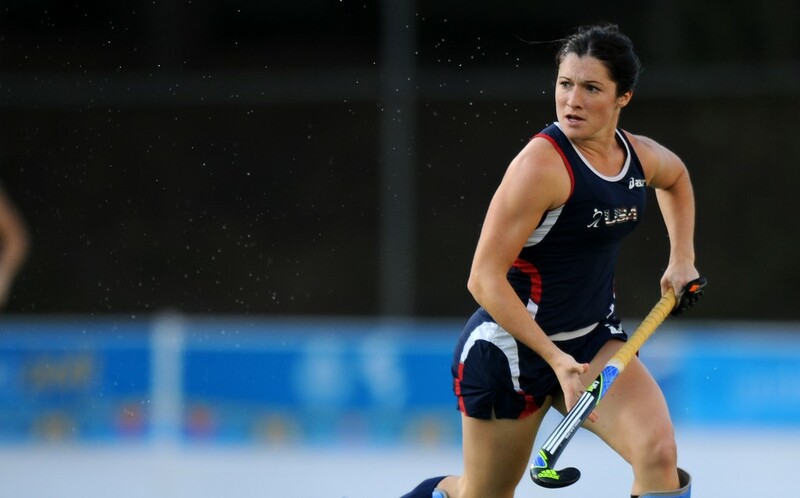 Cherry Hill’s Michelle Vittese has played a role for the United States women’s field hockey in the team’s fast start at the 2016 Summer Olympics in Rio de Janeiro. Vittese scored her first goal of the 2016 Olympic tournament on Monday morning. She tallied the first goal of the game for the United States in their 2–1 win over Australia. Vittese’s goal came with less than six minutes remaining in the second quarter and gave the U.S. a lead it would not relinquish. The United States got a second goal from Caitlin Van Sickle in the third quarter to help seal the win in the second half. Vittese finished the game with one goal and two shots. Monday’s win improved the United States’ record to 2–0 in Group B pool play with three games remaining before the tournament’s knockout rounds. The Americans got their Olympics started with a huge, 2–1 upset win over Argentina on Saturday evening. Vittese registered a shot on goal in the game. Goals from Katherine Reinprecht and Michelle Kasold helped the U.S. to the victory. The United States will continue its Olympic journey on Wednesday when they take on Japan. Wednesday’s game is scheduled to begin at 4 p.m. Eastern time. The game will be televised on NBC Sports Network and streamed live on nbcolympics.com.